172 Pages | First limited edition 1995 | Softcover | Prapti Books, Madras, India | No ISBN. The lives of Śrī Piļļai Lokācārya and Helena Petrovna Blavatsky (1831 – 1891) were irradiated by the Great Ones who are ever seeking for interpreters of Occult Knowledge in the outer world . . . Their contribution and catholicity of thought remain a source of perennial inspiration to the true aspirants of Divine Wisdom. 61 Pages | First limited edition 1995 | Softcover | Prapti Books, Madras, India | No ISBN. T. Subba Row, an outstanding figure in the early days of the Theosophical Society after the Founders, Helena Petrovna Blavatsky (1831 – 1891) and Colonel Henry Steel Olcott (1832 – 1917) came to India, was highly respected for his wide-ranging erudition and knowledge of esoteric philosophy and practice. He had many things to reveal on Occult Science and Philosophy. This slim volume, second in the series, includes seven essays vividly written. Master K.H. in: ‘Letter No. 93’ (Winter 1883) The Mahatma Letters to A.P. Sinnett. 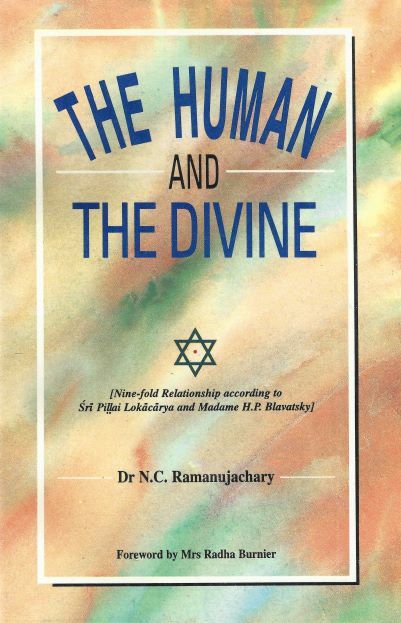 59 Pages | First edition 1993 | Softcover | Theosophical Publishing House, Adyar | ISBN: 8170592151. 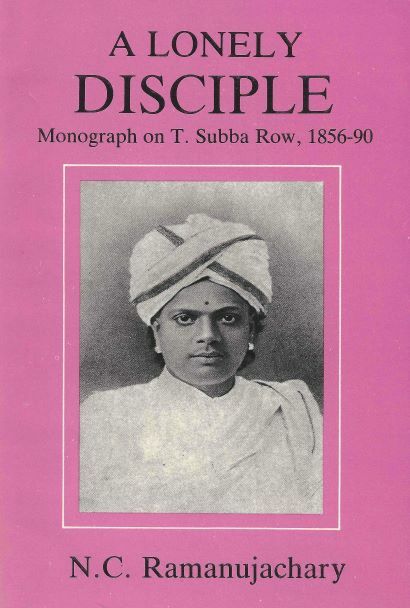 T. Subba Row, an outstanding figure in the early days of the Theosophical Society after the Founders, Helena Petrovna Blavatsky (1831 – 1891) and Colonel Henry Steel Olcott (1832 – 1917) came to India, was highly respected for his wide-ranging erudition and knowledge of esoteric philosophy and practice. Such, he played an important role during the formative years of the Society. His speeches and writings contained in two publications, The Philosophy of the Bhagavad Gītā and Esoteric Writings, strike the reader even today by their range and depth. 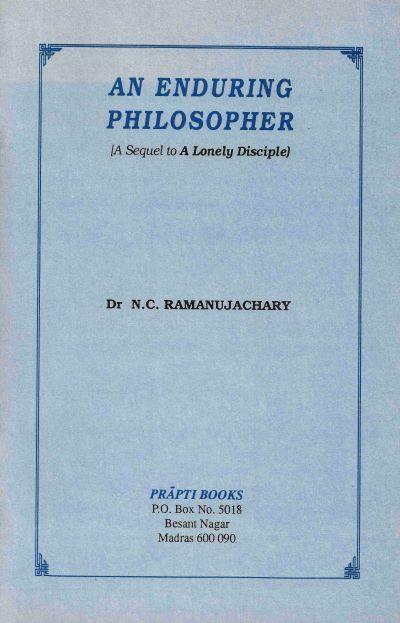 N.C. Ramanujachary born in 1935 at Vijayawada in Andhra Pradesh, India, is a long-standing member of the Theosophical Society. A member of the Authors Guild of India, he is well known as short-story writer in Telugu, with the nom de plume SRIVIRINCHI.